Following mysterious statues hinting at a possible Canadian date on the band's "No Filter Tour," the Rolling Stones have confirmed they are indeed adding a special show to their upcoming itinerary. They'll perform at Burl's Creek Event Grounds in Oro-Medonte, ON, on June 29. Doors to the event will open at 2 p.m., with the show beginning at 6 p.m. See full event information here. Tickets to the event go on sale this Friday (February 15). You can sign up to the venue's mailing list here to receive exclusive access to pre-sale information. 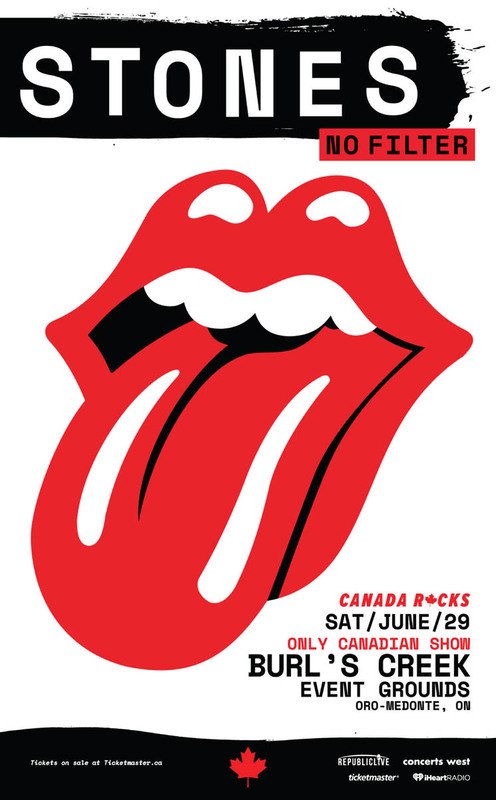 Dubbed "Canada Rocks with the Rolling Stones," the show will mark the only Canadian date on the band's tour. The U.S. portion of the tour ends on June 25 in Chicago. As previously reported, statues of the Rolling Stones' iconic lips and tongue logo started cropping up around Toronto last week at locations like the Eaton Centre and Union Station. They featured the date June 29, and encouraged fans to use the hashtag #StonesNoFilter.